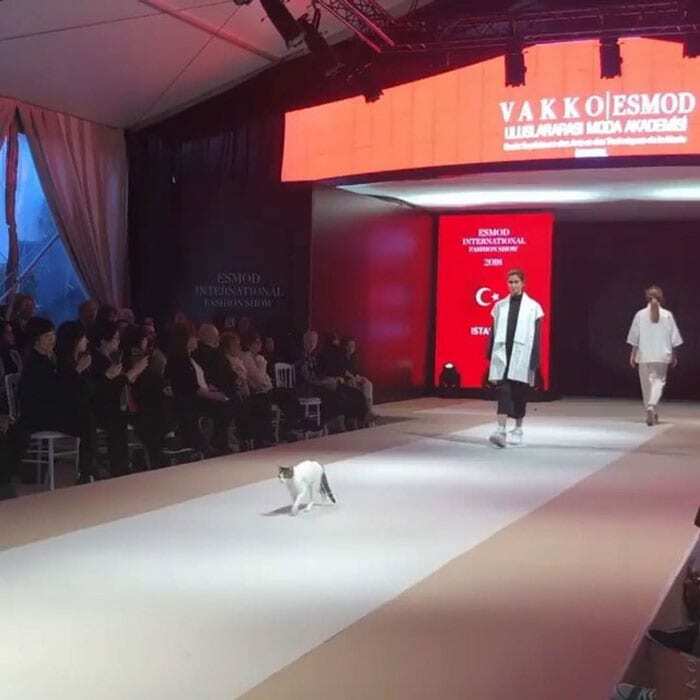 At the 2018 Esmod International Fashion Show, an adorable stray cat took the term ‘catwalk’ a bit too literally! 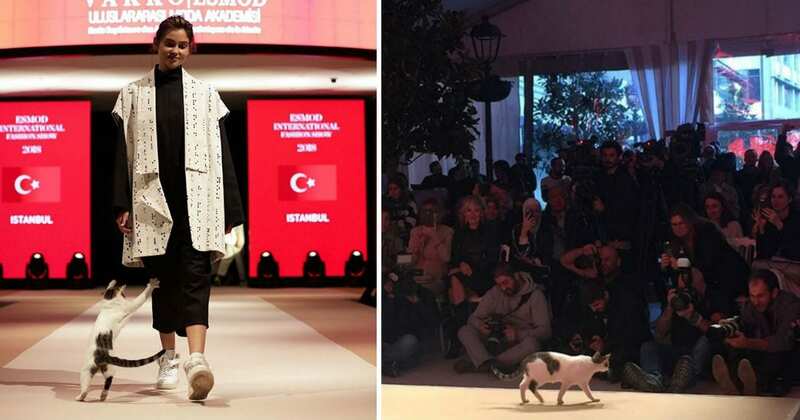 This fashion show took place at the Emaar Square Mall in Istanbul, Turkey. Istanbul is famous for having a huge stray cat population—there are hundreds of thousands of cats living in the city! One of these cats decided it wanted to spend some time indoors, and so it headed into Emaar Square Mall. When the cat saw the fashion show, it decided it wanted to try being a model. And so, the cat hopped onto the catwalk and started strutting about. Everyone in the audience was in stitches. The fashion show’s models started joining the cat on the catwalk, and the kitty was a bit annoyed that the models were taking attention away from her. And so, she started picking a fight with the models. 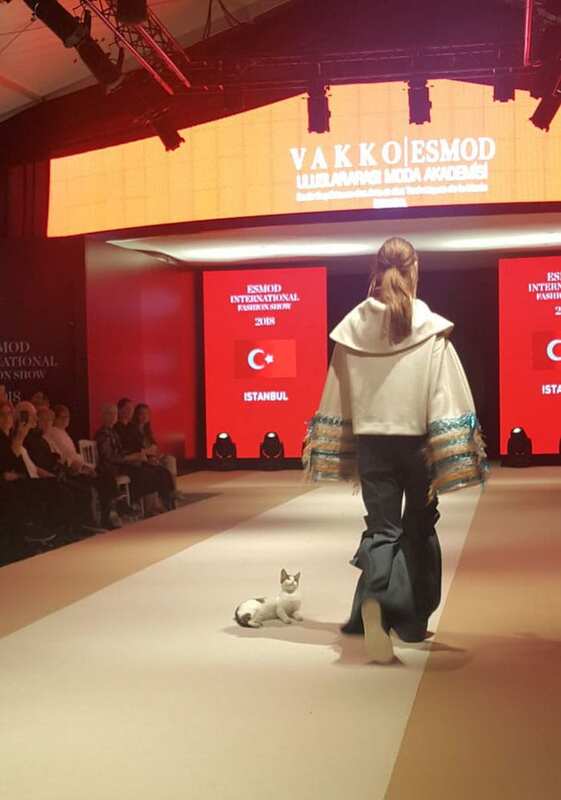 The cat adorably hit the models with her paw as they walked by her. The models were amazingly professional—they didn’t bat an eyelash! The cat didn’t fight with all the models, though. She gave a few of them approving looks—it was clear that she liked these outfits, and she wasn’t afraid to tell the audience her opinion. The fashion designers watching the show couldn’t believe what they were seeing. “Everybody was in shock,” fashion designer Göksen Hakkı Ali told The Dodo. One audience member shot a hilarious video of the cat hanging out on the stage. The video shows the cat happily licking itself. Then, when a model walks by, the cat can’t resist batting at her legs. Nobody knows where the cat came from, but one thing is for sure: she’s a natural on the catwalk! 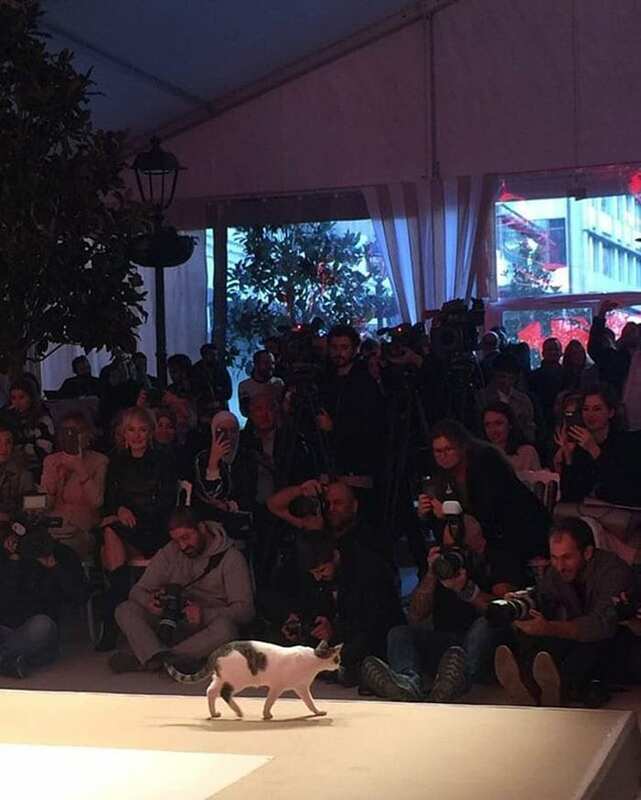 When it became clear that the cat wasn’t going to leave the catwalk, all the photographers started taking photos of her. The cat immediately started posing for her adoring fans! 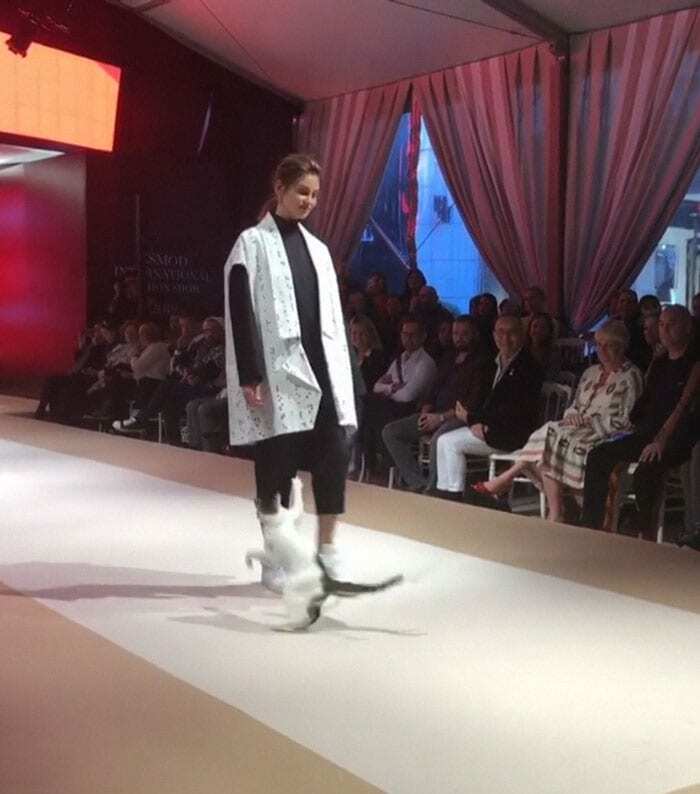 We don’t know why this stray cat went on the catwalk, but we’re so glad she graced us with her presence! This hilarious stray cat is ready to start her career as a model.